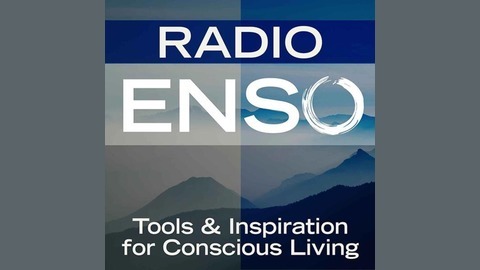 Join host Gregory Berg for Radio Enso- Tools and Inspiration for Conscious Living, every Monday at 6 p.m. Pacific/9 Eastern on the BlogTalkRadio network. 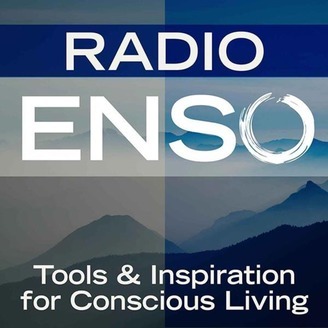 Radio Enso is a weekly, in-depth conversation with personal development leaders, thought leaders, and inspirational people from around the world. I aim to discover what makes other creatives, seekers, and non-conformists tick. We discuss a wide variety of topics including alternative career and lifestyle options, spirituality, travel, philosophy, and optimal living. Since July 2011, my guests have included Dr. Brene Brown, Chris Brogan, Nancy Duarte, Danielle LaPorte, Jonathan Fields, Susan Piver, Chris Guillebeau, Pamela Slim, Tess Vigeland, Jeff Goins, Michael Bungay Stanier, Tara Gentile, Adam Baker, Brian Johnson, Jennifer Louden, Betsy Chasse, Don Miguel Ruiz Jr., Eric Klein, Natalie Sisson, Jonathan Mead, Ishita Gupta, J.D. Roth, Jodi Ettenberg, Charlie Gilkey, Farnoosh Brock, Dave Ursillo, Bridget Pilloud, Jia Jiang, Catherine Just, and MANY others. Each week, my guests share their life story, discuss the challenges they've faced, and offer various "takeaways" that listeners can use on their own journey towards a more conscious and purpose-filled life. Listen to Radio Enso live here or download or stream archived shows at BlogTalkRadio, via the iTunes Podcast Store, the Stitcher Radio app, or at http://www.radioenso.com. Join me Monday, October 6th at 6 p.m. Pacific/9 Eastern on Radio Enso. My guest will be author, teacher and spiritual guide Dr. Alice Bandy, the Spiritual Director of The Heart of Teaching, a nonprofit educational organization. Alice joins me to talk about her book The Wisdom of Money: Listening to the Spiritual Message of your Finances, her online self-study course Consciousness of Wealth, and much more! About: Dr. Alice Bandy is the Spiritual Director of The Heart of Teaching, a nonprofit educational organization. She has been leading transformative spiritual classes for adults since 1996. Alice has taught at many universities and is a favorite instructor at the Holmes Institute School of Consciousness studies. In 2012, Holmes Institute granted her an honorary doctorate for her achievements in authoring, teaching and disseminating powerful spiritual courses throughout the United States. She lives in Encinitas, California. Her book, The Wisdom of Money: Listening to the Spiritual Message of your Finances was published in 2013. "The Wisdom of Money is my book which walks the reader through a very intensive process of releasing old experiences, pains and resentments so that the natural flow of prosperity and well being can flow into their life. These exercise are based upon my counseling practice. I use them here for money issues, but they work equally well in relationship and health issues." Radio Enso #140 - Kristoffer Carter of This Epic Life returns!